LinkedIn isn’t the social network it used to be. While the platform was once seen as the next Monster or CareerBuilder, its status as just another job site is a relic of the past. As part of LinkedIn’s evolution, the network quickly became a staple of B2B content marketing among its 500+ million users. Looking to share hyper-specific content to establish authority? Want to get in front of the biggest players in your industry? Struggling to find top-tier talent to add to your team? If so, LinkedIn is the place to be. Oh, and Sprout gives you tools to manage it all, including your ever-so-important LinkedIn analytics. Here’s the deal: content marketing and branding have become two major components of success on LinkedIn. This rings true for companies and individuals alike. If you want to grow, you need to figure out which types of content click. You need to hone in on your messaging. Because as a primarily B2B network, what works on LinkedIn is not always identical to the likes of Facebook, Twitter or Instagram. And fine-tuning your strategy boils down to your numbers. Throughout this guide, we’ll take a look at the latest LinkedIn analytics platform and how marketers can make sense of them one-by-one. Breaking news. Company milestones. Off-the-cuff comments from your team. You have a ton of freedom when it comes to company updates, but you also need measure what’s working versus blasting posts at random. 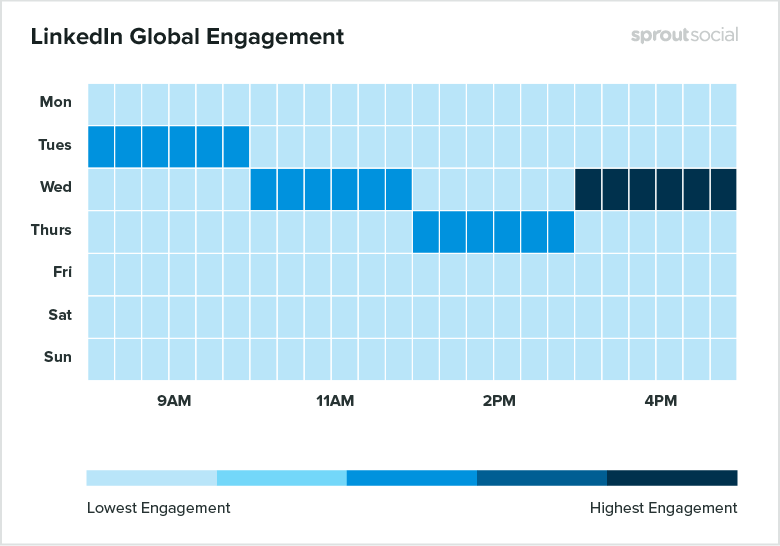 From the company updates section on LinkedIn, you see exactly what’s scoring the most impressions, engagement and clicks. Preview: Here you’ll see the title of the LinkedIn post as well as the option to view it in real-time. If you hover over the title, you’ll see a preview of the live post. Date: The date the post was published. Audience: This indicates whether the post was sent to all your followers or a targeted group. Sponsored: This shows whether or not you paid to promote a post. If it was just an organic post, you can click on the “Sponsor” link to start a paid campaign to promote it. Clicks: The number of times your company name, content or logo have been clicked. Interactions: The number of engagements (likes, comments or shares) on your post. Followers Acquired: The number of new followers you gained from a sponsored update. If your post is organic (non-paid) this will be empty. You can use Sprout’s LinkedIn reporting to find out more information about your organic followers. Engagement: The number of interactions divided by impressions. Below this section, you’ll see specific data for your content’s reach and engagement. Reach is broken down by impressions and uniques. Impressions represent the total number of times your posts were seen, while uniques only count the number of unique users that saw your posts. For example, if one person looked at your post twice it would count for two impressions and one unique view. The engagement section breaks down the types of interactions your posts have received as far back as the last six months. You can see how many clicks, likes, comments and shares your posts received. You’ll also see your engagement percentage and how many followers you gained from sponsored updates. If your engagement is stagnant or on the downturn, here are some great tips on how to get a more engaged audience. Based on your company update data, figure out which sorts of updates actually gain traction. And if you’re struggling, there are actions to take based on Sprout’s own research and advice from LinkedIn themselves. For example, the ideal length for company update on LinkedIn is between 50 and 100 characters. When in doubt, keep your updates short and sweet rather than dump a bunch of text on your followers. Also, bear in mind how visuals impact engagement. Based on recent LinkedIn statistics, posts with images receive 200% more engagement than those without them. You’ll also notice since LinkedIn recently rolled out their native video player, more and more updates incorporate video to grab the attention of followers. 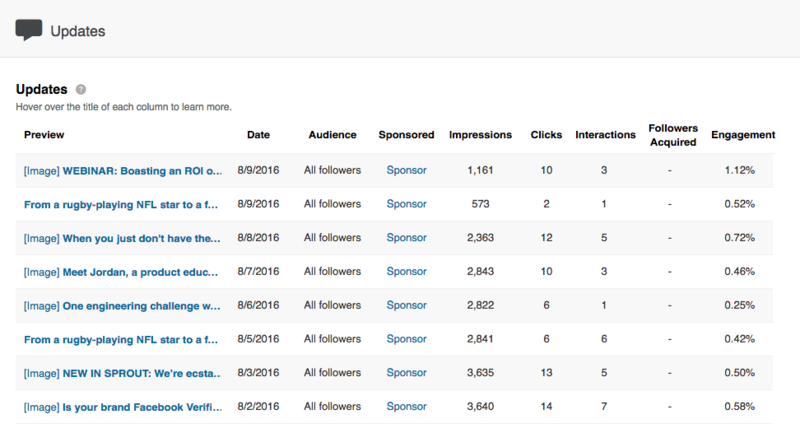 Your LinkedIn analytics can also tell you which company updates might make strong sponsored content. 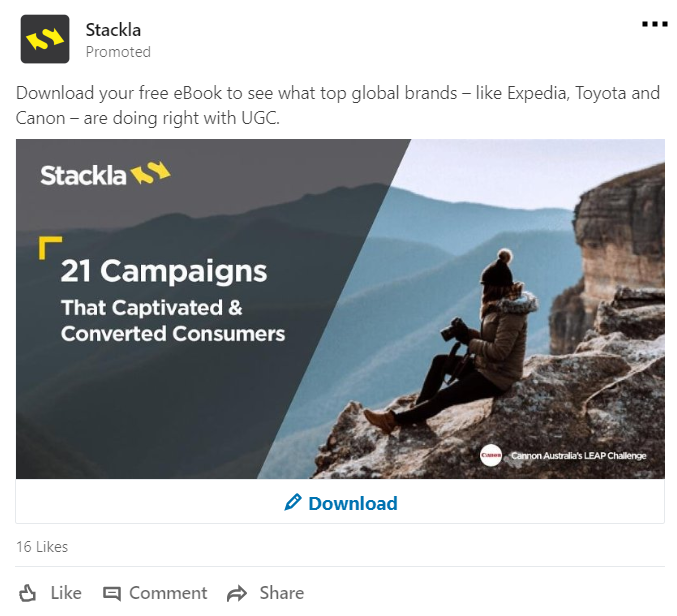 Whether it’s lead magnets or a free trial, LinkedIn’s ad platform can put your best posts directly into the feeds of your prospects. Another point to consider is how often you’re posting to LinkedIn. As highlighted by the heat map below, both timing and consistency count if you want to grow your following. Of course, a key component of your content strategy is simply reaching the right people. The follower section of LinkedIn analytics provides insight into your audience on the platform. Here you’ll see your total number of followers, audience demographics and trends in your follower growth. Seniority: This information is critical because, depending on your brand, you may be trying to reach lower, mid or high-level employees. 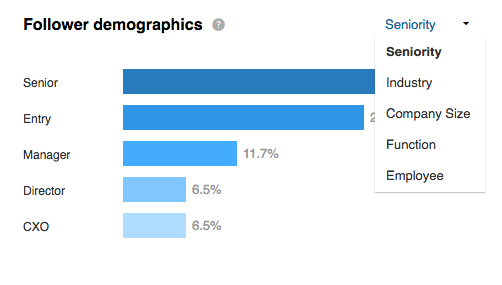 The seniority demographics let you know if you’re attracting the appropriate audience. Industry: If you’re targeting a specific industry, you’ll obviously want to keep an eye on this data. Not only will you see if you’re appealing to your key audience, but you might get ideas for new industries to target as well. Company Size: Do you want to reach SMB’s or enterprise-sized companies? This data breaks down your audience by how many employees the companies have. Function: Knowing what job function your audience serves will help you share content that resonates with them For instance, comparing target for marketers versus IT professionals is like apples and oranges. Employee vs Non-Employee: Having a lot of followers is a nice, but if a majority of them work for your company then you’re basically dealing with a vanity metric. Ideally, your number of non-employee followers will outnumber your employee followers. Further down on the dashboard is your follower trends data. This displays how your follower count has changed over time, allowing you to zero in on a specific date range of up to a year. If you notice a negative trend, it’s time to dig in and see what’s causing you to lose followers. In many cases, it might be a problem with your sharing schedule or the quality of content you’re sharing. In addition to looking at your trends as a whole, look for sudden spikes, drops or flatlines. As an added bonus, LinkedIn Analytics will also show you how your follower count stacks up against competitors in your industry. You can use this as a benchmark to set goals for growth. If you’re struggling to grow your follower count, it might be time to run an ad. As noted, you can use your best posts as sponsored content to get in touch with your ideal audience. LinkedIn recommends ads that are bold, contain striking imagery and a very specific CTA. Your audience data also clues you in on whether you’re attracting the right types of followers. Again, your follower count doesn’t mean too much if it doesn’t consist of your target audience. Also, don’t forget the need to bring your employees on board as brand advocates. 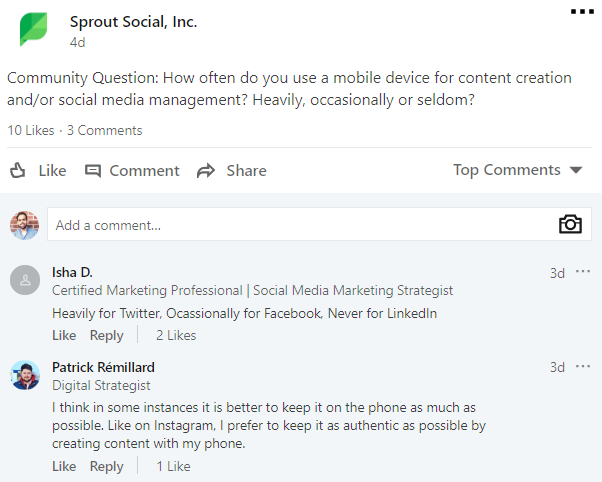 Introducing your business to your employees’ own followers should be a no-brainer, which means encouraging their own activity on LinkedIn in addition to sharing your brand’s content. Page Views: In short, the total number of times your company page was viewed during your specified date range. This also includes views on a career page if you have one setup. Unique Views: The total number of unique users that have viewed your company page. This number excludes multiple visits from a single user. If someone comes to your company page, navigates away and returns later, it will count as two page views, but one unique view since it’s the same person. Visitor Demographics: Similar to your follower demographics, this section shows who’s viewing your company page. If there’s a discrepancy between the demographics of people viewing your page and your followers, it could mean there’s a disconnect between the content you’re sharing and the information on your profile. Make sure your messaging is consistent across all your social channels. The first step for scoring more visitors is ensuring that your LinkedIn profile is totally filled out in terms of your company details. 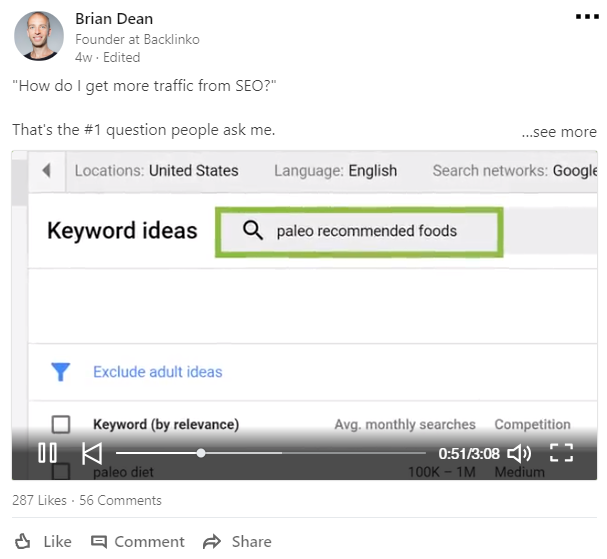 Over time, this will help you pop up in organic search via Google as well as LinkedIn’s own company search feature. Additionally, make sure that you promote your LinkedIn profile on-site where appropriate. In addition to LinkedIn’s own “follow company” button, you can include a link in your site’s footer. Also, make content promotion to LinkedIn an option on your company’s blog posts. Pretty much any social sharing plugin on WordPress (think: AddThis) includes this feature. 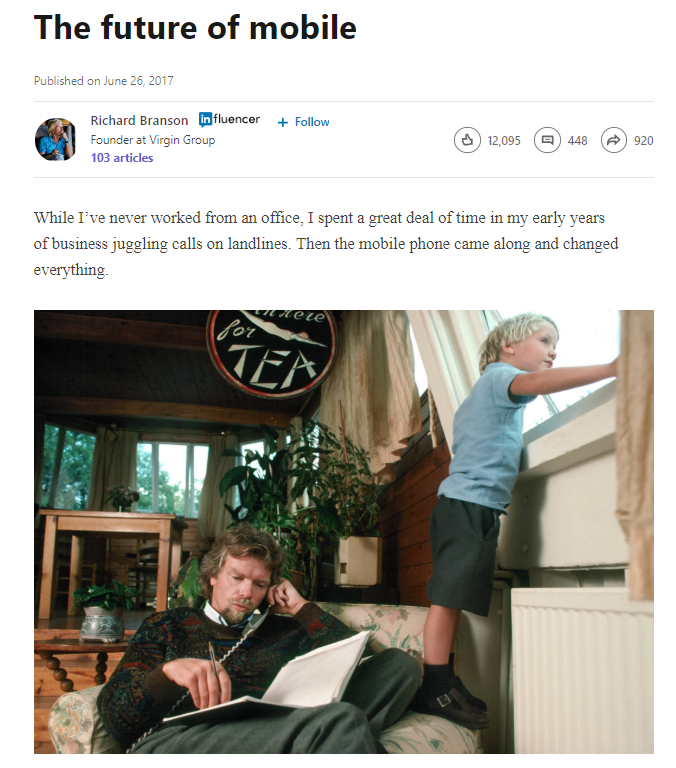 As a successor to the now-defunct Pulse, LinkedIn now allows individuals to publish articles directly to its platform. 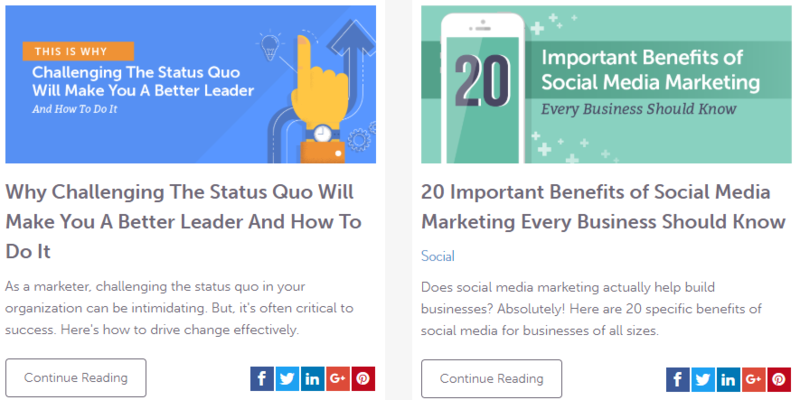 These articles are typically long-form thought leadership pieces, ideal for building authority as well as some SEO juice. If nothing else, they’re a smart way to repurpose content to get more mileage out of your company blog. When you look at your articles through your profile, you see directly how many views and clicks each one owns. After your article has surpassed 10 views, you gain further insights on your readers, including industry, job title and location. Keep in mind the demographics only apply to users logged into LinkedIn. Still, these pointers paint a good picture of who’s interested in your content and where they’re coming from. At the end of the day, this data allows you to make better decisions about the content you create and share, as well as how your company approaches LinkedIn at large. 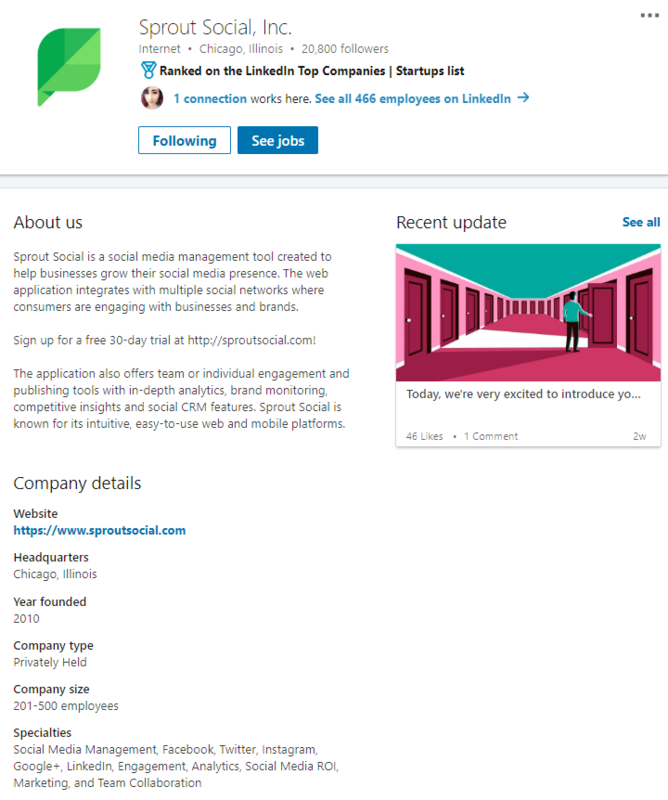 Are You Using Sprout Social for LinkedIn Analytics? If you want to grow your LinkedIn presence, your analytics are a prime place to start. The good news? 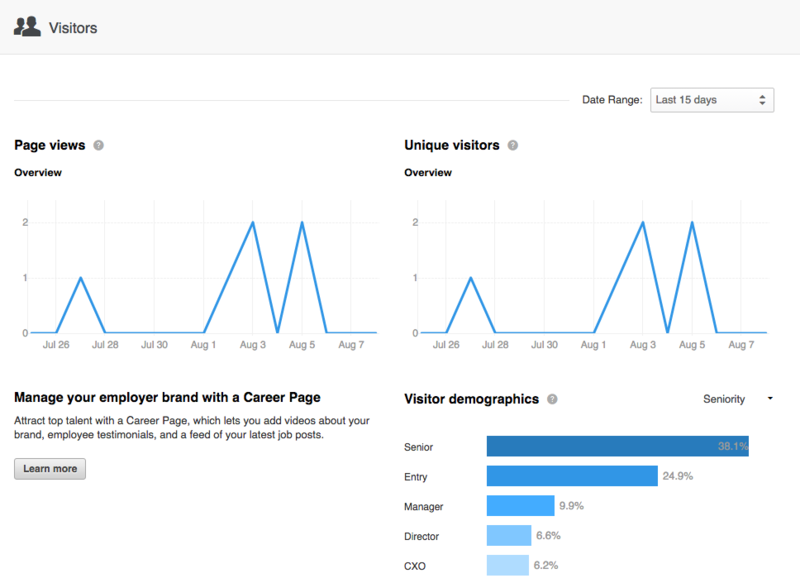 LinkedIn analytics come built into Sprout’s suite of reports. With the LinkedIn Company Pages Report, for example, businesses can analyze Page level data to make strategic decisions. Calculate aggregate and compare followers gained by both Sponsored and organic efforts to determine the impact of your efforts on growth. Want to see our LinkedIn Company Pages Report in action? Awesome! Sign up for a free trial to access this report and manage all your social media profiles from a single dashboard.